Steward Bank has been opening bank accounts for Zimbabweans in the diaspora for a while now. They have now gone a step ahead to make the accounts more useful for the diaspora folks: holders of this account are now able to apply for loans to buy or build houses back home. If the loan application is approved Steward Bank will administer the funds paying suppliers and all as well as the actual builders at every stage of the construction. Any diasporan aged 21 and above and has held a Steward Bank Diaspora Account that has been active for at least 3 months. The individual must of course have a work permit, resident permit or visa in the country they are resident. They must also have either a valid Zimbabwean passport or a Zimbabwean ID and have a proxy here in Zimbabwe who has a valid ID. What do we think about the facility? Buying property is obviously considered a very important investment anywhere in the world. Most diasporans have that as their top priority when they first go outside the country. However houses do not come cheap. For the average Zimbabwean out there getting to own a property in their country of residence is nothing but a pipe dream. Properties are super expensive in places like the UK and getting financing to do so is next to impossible for a foreigner. Besides that, most diasporans want to come back to Zimbabwe someday and this is where they would rather build and plant roots. Some of them left unfinished houses and they just can’t lump funds together to complete these projects. It’s not easy when you are trying to put kids to school at the same time. What are the terms to expect? The loan is repaid at an interest rate of 9% per year. So far this is the lowest we have come across in Zimbabwe. The tenure is up to a maximum of 20 years and is based on how close you are to retirement age. You can apply for any amount between $10 000 and $200 000. Repayment installments must not exceed 45% of the gross monthly income of the borrower. The establishment fee is 2% of loan and a non-refundable application fee of $100 is required on submitting the application. If your application is successful then you must pay the commitment/deposit of 10%. This is your share of the cost of buying or building your home. Repayments are to be made monthly and in hard currency. What can the loan cover? The loan is for buying a serviced stand, construction of a new house, renovating/upgrading an already existing property or purchasing a new house. In all cases the property must have title deeds. Why Is It Zim Brands Have No Respect For Copyright Laws On The Internet? Hallo Stanley. This is indeed possible. Get in touch with Revesai on Revesai.Nyahasha@stewardbank.co.zw. Within an hour, you will be having an account with Steward Bank. If its 1:1 for proper US$ outside for RTGS crap here, its a waste of time. If you have funds outside you can get +50% here for RTGS. 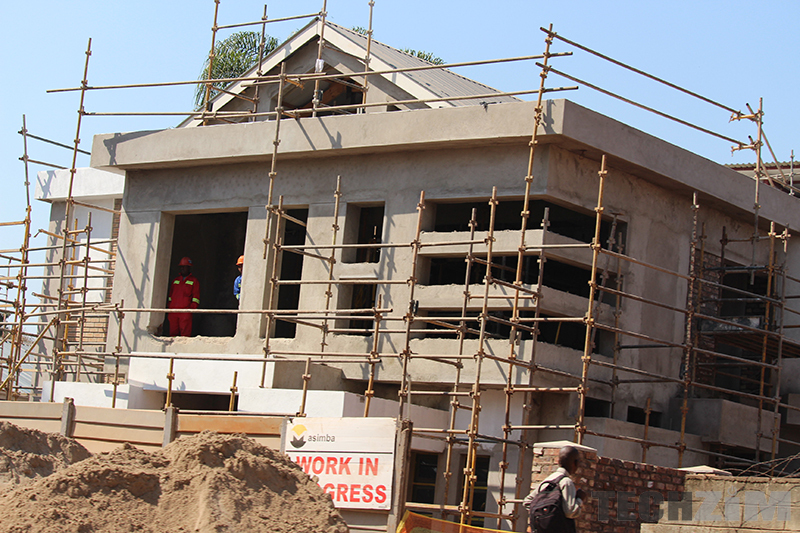 There are cheaper ways to build a house in Zim if you are working outside Zim and earning proper currency!! Steward takes your hard currency outside and gives you 1:1 for rtgs here, LOL !! How many pple have funds outside and $50 000 is very limited as to what you can buy and how many people have that kind of money saved up out there in the diaspora? I could not find Revesai Nyahasha on linkedin?Can I suggest if we need to contact people who work for Steward bank and helping diasporians with loans etc to be visible on Liknedin as we woul dlike to see who we are talking to . Remember, we become on transparency of workers because you once had employees at Steward Bank who misappropriated funds through opening numerous accounts for their benefits. This is rubbish, fucken 9% to 12% interest rate on a US dollar mortagage in a SHITHOLE COUNTRY. Yet on can buy a property at 4% interest rate in developed western nations with all basic commodities in place. Are you saying it’s a Zimbabwean dollar mortgage? Most Zimbabweans who have been in the diaspora for a long time, now hold citizenship to those countries.So your requirement that they should hold a Zimbabwe passport would put that group of diasporeans outside of prospective applicants.You need to look very careful on that requirement. May i know the prices and sizes of houses, i am interested. May i know the prices and sizes of houses, i am interested. May to know the areas as well.